“Angry robot has perfect timing”. Wow, out of context that makes no sense whatsoever! sounds like it should be a caption for something on Failblog. Look what came today from Angry Robot Books!! 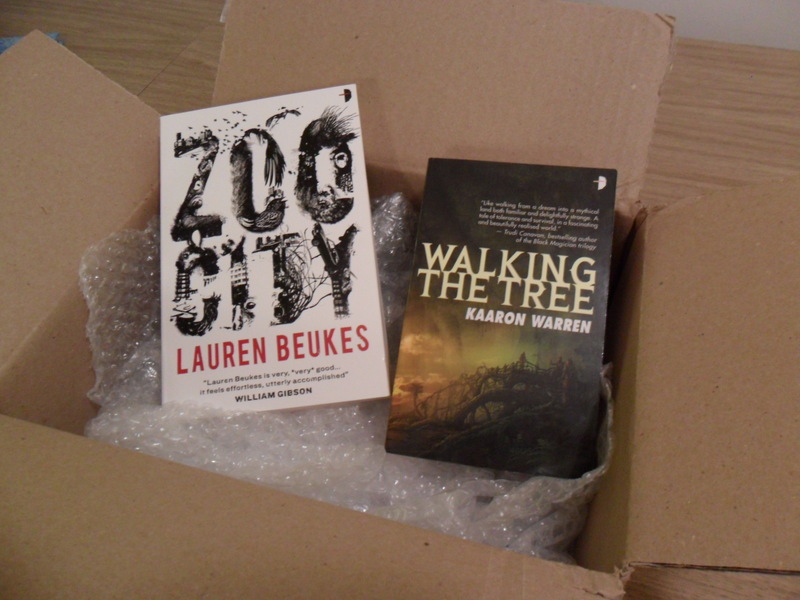 Review Copies of Zoo City by Lauren Beukes and Walking The Tree by Kaaron Warren! Angry Robot has perfect timing, Happy Hanukkah to me! Look for reviews of at least one of these books in hopefully a week.